Filipino MMA fighter from Team Lakay is set to fight for the ONE lightweight championship against the Japanese world champion Shinya Aoki. 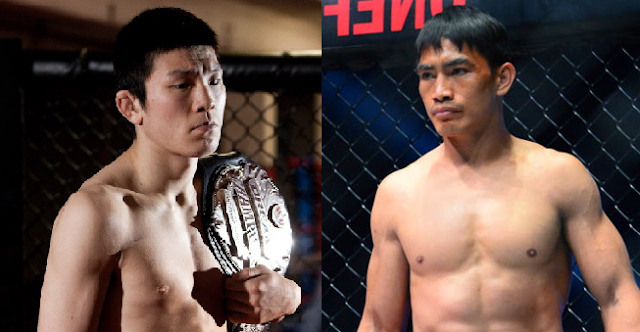 The former URCC champion Folayang is set for the biggest fight of his career. Folayang with the record of 16 wins including 5 losses promises to win the fight against the veteran world champion Shinya Aoki. Folayang won his last two fights first against Tetsuya Yamada last January 2016 and won also the fight this August against a top opponent Adrian Pang. Folayang wins via impressive unanimous decision and got the title eliminator fight. Meanwhile, his opponent from Japan Shinya Aoki has an impressive record of 39 wins including 25 wins via submission and has only 5 defeats. Shinya Aoki won multiple championships in different promotions and now planning to continue to defend his title. Aoki won his last 9 fights and he fought Koji Ando last year in One Championship. Aoki vs Folayang will be held in Singapore on November 11, 2016, and to be titled ONE Championship: Defending Honor.